Article submitted by Partnership for Young London, Eurodesk UK Partner. 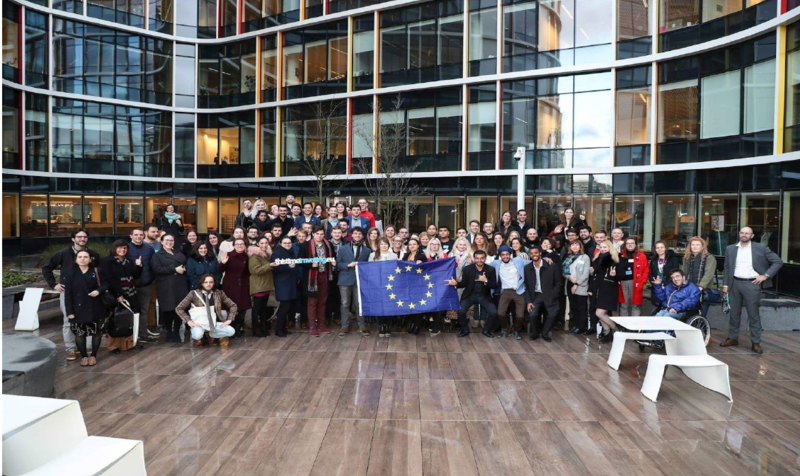 The Youth Outreach event took place in Brussels, Belgium, on March 7th 2019. The approach used was participatory and consultative, meaning everyone was able be a part of the process and bring their voices and ideas to the table. Partnership for Young London was represented by Troy. Here’s his story of how he got involved with the project. themselves and through opportunities such as this, where they can have their say on the issues that concern them. Events like this highlight the commitment of the EP to encourage and enable participation. It is really important for us to have theses frank discussions together, as a collective voice is our strongest tool. These mechanisms are essential to harness the voice of the young people and the organisations that represent them so that the EP can understand their issues. But the stand out for me was the amazing people who I met that champion our young people all over Europe. We’ve created a cloud document that contains information about the attendees and the organisations that they represent. More information, like participants and topics discussed, available through the YouthEP network documents.